Is our theme for the 2018 – 2019 school year. Join us as we work together in unity through faith and love. Building Our Hearts for God! Is our theme for the 2017 – 2018 school year. and our minds for God this year. Our theme for the 2016 – 2017 school year is Auspicious Minds. Definition: If something seems likely to bring success — either because it creates favorable conditions or you just consider it a lucky sign — label it auspicious. Our school’s theme for the year is Pursuing Happiness. Our faculty and staff at both schools have been meeting periodically in order to talk about ways to increase our long term happiness. Did you know that it is possible to put certain practices in place, develop certain habits, which have been scientifically proven to increase happiness quotients? Even people who suffer from depression have been able to use certain practices to develop daily habits which helps alleviate depression. Some of our guest speakers this year have also inspired us on the topic. By the way, it makes me happy to see more parents than ever attending our speakers’ series. 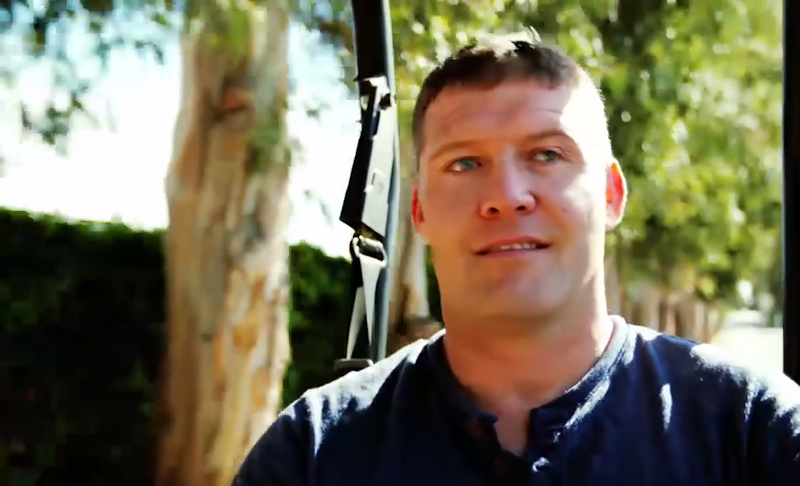 Here is a link to an interview with former New York Giants Defensive End, Michael Strahan. This week he released a book titled, Wake Up Happy. In this short interview, he provides some of the practices he uses to wake up happy. A HUGE MISTAKE…AND A LESSON TO BE LEARNED! During a recent junior varsity football game tempers flared, words were exchanged and some punches were thrown. In an instant, both sidelines came to the center of the field and a melee ensued. Thankfully, coaches, referees and even the announcer prevailed upon the players to return to the sidelines. It was an embarrassing moment for both teams and both schools. It is possible to take a mistake and turn it into something positive. Unfortunately, that happens all too rarely in our society. In 2015, in the age of reality television and professional athletes behaving badly, this incident of student athletes taking personal responsibility for their actions makes me proud. Don’t get me wrong. I’m not proud of the brawl; I’m embarrassed by it. I found it refreshing and even inspiring to be a first young adults behaving in a manner that many of us adults and most young people can take a lesson from. For the last 15 years Mr. Palmeter has served loyally and well in the role of Dean of Character. Beginning on July 1st he began his newly appointed role as Head of high school. In this role he will be responsible for ensuring that the day to day operations of the high school are efficient and effective. His main focus will be to supervise faculty and work toward enhancing our curriculum. In his role he will work closely with Head of Elementary School Amanda Allen, and Dean of Studies, Marilyn Tran. He will be assisted in classroom and curriculum oversight by academic counselors, Matthew Thompson and Maria Alvarez. The Dean of Character is a position that requires patience, wisdom and strength. Ms. Amanda DeLaCruz, former second grade teacher at our elementary school, has the confidence of our administrative team and we believe that soon she will have yours too. A former U.S. Marine, Ms. DeLaCruz served our country proudly for six years. We were fortunate that when we approached her about taking on the important duties of Dean of Character, she was ready, able and willing. Marilyn has been somewhat of a fixture in the junior high at our elementary school. Her love of teaching is always evident, so much so, that we approached her about becoming a teacher of teachers. In her new role as Dean of Studies that is pretty much what she is instructed to do…to be a teacher to our teachers. Although she will mainly assist Ms. Allen on our elementary side in observing and strengthening teachers, she will also work alongside Mr. Palmeter in helping to strengthen our entire K through 12 curriculum and delivery. Today I accepted an invitation to accompany our fourth graders on a field trip. We had a great day together. First, we traveled to Disney Hall to listen to a live performance by the LA Philharmonic; it was a performance of Peter and the Wolf. Next, we walked to City Hall where we were graciously welcomed into City Hall Chambers during a Los Angeles City Council meeting. After being introduced to the entire city council, we were escorted by an aide of Councilwoman Nury Martinez into a photo op room. Ms. Martinez took time away from the meeting to have several pictures taken with our group. Ms. Martinez and the photographer both remarked about the great manners and behavior of our students. Our councilwoman credited good education and good parenting as she said our fourth graders were among the best behaved students to visit. Perhaps the best comment I heard all morning was from a student who said, “this day has been an anointed moment, right?” I couldn’t agree more. Here is a picture from the Councilwoman’s facebook page. If you are traveling, be smart and safe. Put down your phones and watch and look where you are walking or driving. I wish everyone a restful and enjoyable break. I invite all students to come back to us refreshed and prepared to go strong to the finish line! Enjoy a short video featuring some of our first graders along with their prayer partners in the 9th and 10th grades. Today they enjoyed some beautiful Southern California weather as they played a game which reinforces symbols of Lent. It is a joyful sight. CASINO NIGHT: A GREAT WIN! I’d like to add my 2 cents to the buzz going around regarding last Friday’s Casino Night. What a great win for anyone who attended! There was a general feeling of fun and celebration in the air. It was special for me for one main reason…a true sense of community and unity. At one point I sat playing 21 with parents from both elementary and high school, as an amazing jazz band, Saundra and the Brunotes, performed. The band consisted of band directors from both schools and the jazz singer was our newest addition, Miss Saundra, elementary music teacher. It was less than two years ago when Father Alden announced the restructuring of our parish schools. The large attendance and joyful spirit on Friday evening reminds me how far we have come and what great potential we have! My sincere gratitude goes out to all of the parents and teachers, who worked so hard to plan, decorate, encourage and invite. Obviously your efforts proved successful. Thank you also to everyone who attended and so many of you who brought guests. People are already talking about next year’s casino night. In other words, whether you won or lost at the table games…judging from the smiles on people’s faces and the comments…our community had a big WIN on Friday! JAVIER MORAN INVITED TO LA GALAXY CAMP!! MANNY PACQUIAO? Is that you with Ms. Yao? In case you’re wondering, yes, that is our very own teacher and assistant athletic director, Ms. Femilyn Yao with Boxing Phenom Manny Pacquiao. I know what you’re all going to ask next. How did Mr. Pacquiao get so lucky as to get some time with Ms. Yao. Afterall, we all know how busy she is and that she rarely has any spare time. Yet, she took time out of her busy schedule to accept an invitation to watch Manny play basketball this weekend. Afterward, she was gracious enough to pose for a picture with Manny…that’s real Valiant spirit, right? Seriously, Ms. Yao had a unique opportunity and she took full advantage of it. First of all, she let Manny know that the St. Gen gym is nicer than the one he had just played in, and she invited him to play here in the future. Secondly, she had him autograph a tee-shirt. The newly autographed shirt will be auctioned at Casino Night, Friday, February 13th in Madonna Hall. Thanks Ms. Yao for sharing Manny with us! Here is a link to our elementary school jazz band playing, Just the Two of Us, a tune familiar to many of us. I invite all of you to listen and share in the pride of such an exceptional music program under the direction of Bruno Cilloniz. My pride and gratitude go out to all of the wonderful musicians and staff who make the St. Genevieve Performing Arts so very special. Enjoy Just the Two of Us. BTW…this number was played during a special Catholic Schools Week assembly on Thursday, January 29th. Twenty-Four high school students representing the student government program prepared and implemented a lesson plan for our junior high students on the topic of building good character. Specifically, our 6th, 7th and 8th graders were challenged to use social media more wisely, and to develop and maintain positive peer relationships. Thank you to our high school students for coming with a prepared and motivating lesson on character. Congratulations to our junior high students for receiving the message with openness and respect. This joint project shows VALIANT SPIRIT at its best! Elementary school staff preparing for Wednesday's Christmas program. Our elementary school began rehearsals this week for our annual Christmas Program. This year our show is entitled, Don’t Be Scrooged! ; it is a St. Gen creative interpretation of A Christmas Carol. We also have a new member of the staff, “Ms. Saundra”. Saundra Agababyan has great energy as well as a great music education. Pictured here are fourth graders during today’s music lesson. Some good news for which we can all be thankful…over our Thanksgiving Break our classrooms will receive new air-conditioning and heating units. This is due to the generosity of the John and Dorothy Shea Foundation. This gift comes just in time for our colder weather especially considering that our heating units in several classrooms were less than adequate. John and Dorothy Shea are extremely generous benefactors to many of our schools in the archdiocese. I ask that this Thanksgiving we remember to give thanks and to pray for John and Dorothy and their family. Also, when you get a chance, take a peek inside our gym. For the last several months we have been face-lifting our gym. It used to look like a recreation center…rather bland with few markings to identify it as a St. Genevieve gym. Now, there is no mistaking. We’ve painted, installed new lights, scoreboards, bleachers and it now looks like a brand new gym. These improvements are also due to a gift…a grant from the Fritz B. Burns Foundation. Although Fritz Burns is no longer living, I ask that you remember the members of the Foundation board in your Thanksgiving prayers. The above mentioned items are improvements to our buildings. However, our school, is the people who teach, attend, and parent. And it is this great school community I am most thankful for. I’m so often overwhelmed by the generosity, kindness, and greatness of our community. Just this week I was visited by a group of elementary teachers who came with broad smiles and enthusiastic tales of a weekend fundraising trip with parents that raised $1,000 for our elementary school’s endowment. Ms. Parker happily presented a check for $1,400, money for the endowment raised by her pre-schoolers in a Trike-A-Thon. These dollars will be invested in our endowment fund and will exist as long as our school does; the interest will benefit student who aren’t even born yet. I also had the privilege to spend one of the four days of Kairos with some of our seniors. They were in Big Bear this week for one of the most intensive spiritual experiences a teenager can have. It is made possible due to the teachers and staff who devote four days of their lives, away from their own families, to provide an often life-changing retreat for our senior class. These are only a few of the many Anointed Moments of my week! Make sure to take time to reflect on yours. Our regional bishop, Gerald Wilkerson recently celebrated his 75th birthday. Today our community surprised him. We invited him over for lunch with our administration and then invited him to see our newly renovated gym prior to lunch. When Bishop Wilkerson walked into our gym he was greeted by all 1,100 plus Valiants in grades kindergarten through 12th grade. We sang the St. Gen version of Happy Birthday. Putting it simply, it was overwhelming…not just the song…but the visual…from the ages of 5 through 18, our students were filled with joy and good wishes. We also hosted Debra Duncan, executive director of the Dan Murphy Foundation. Ms. Duncan, upon leaving the gym said, “I visit a lot of schools, but there is definitely something special about this one.” Hope that makes you as proud as I am! Thank you to the parents who attended Parent Matters on Monday. I hope you found it to be beneficial as you navigate the world of parenting in the technological world of 2014. Thank you also to the parents and guests who attended Monday evenings Salute To Veterans with American hero, Dave Carey. I must say it was very satisfying seeing so many people here to help us celebrate our freedom, our country, and to honor veterans. HOMECOMING SATURDAY: This is the first year our school has celebrated homecoming in grades kindergarten through 12th grade. For me, it is truly a joy to see our two schools celebrate as one. For those of you who missed the parade, you missed out. Thank you to the parents of the elementary school who were here bright and early helping to build floats to represent our lower grades. Thank you to Sister Irene who volunteered her car to be a float and kept it decorated until Tuesday morning so the entire student body could see. It was a pleasure to have so many elementary school kids and their parents walking in the parade. Hopefully, next year the number will grow. HALLOWEEN CARNIVAL: Our elementary school raised over $14,000 during the carnival last week. That has to be a record. More than the money was the great community spirit that was raised as well. The crowd of parents and grandparents looked like it had doubled from last year. It was so impressive to see so many of our community out for the day determined to make a success of our carnival. You have my gratitude! 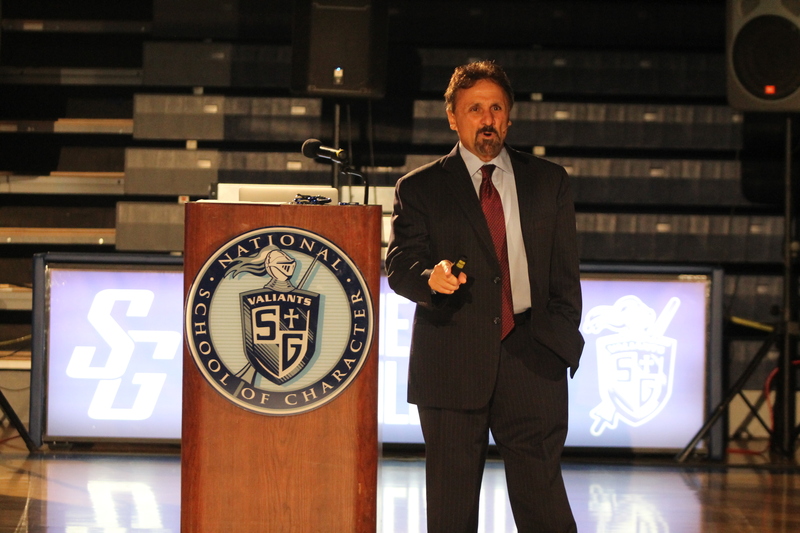 FRANK DEANGELIS: We had the former principal of Columbine High School deliver an inspiring message of triumphing over tragedy. It was a moving evening. Frank remarked numerous times that God had sent him to our school and that visiting St. Gen was one of the memorable and moving moments of his entire life! The sentiments from Frank DeAngelis and Sonny Sandel are representative of the feelings of many who are inspired by the students and staff of our great schools. MY FINAL THOUGHT: We have so many events at our school in which our parent community is invited to attend and so few take advantage of. Often, these events are life-changing for our students and even for our guests. I’m grateful to those parents who do attend and for the many positive comments you share with me following these events. For those of you who have yet to venture inside our gym (family room) for one of these events, allow yourself the luxury of being inspired. I hope we will have more parents/guardians joining us at future events. Today was day two for homecoming. My day began with a visit to our youngest Valiants…the pre-schoolers. We pride ourselves at St. Gen in being a patriotic school. Take a look at the video of our pre-school as they recite the Pledge of Allegiance and sing our National Anthem. You’ll enjoy it. Our afternoon assembly had an energy all of its own. There were some great competitions on the gym’s court, but the best show was what was happening in the stands. There was dancing, singing, cheering and an overflowing sense of school pride. I hope many parents will take time to join us for Thursday’s guest speaker, Chris Koch and/or homecoming mass on Friday at 6:30. During one of the songs on both evenings there is going to be a banjo solo followed by an accordion solo…talk about fun! Today we kicked off homecoming with many activities as usual. The not- so- usual part of homecoming was having all the grades, kindergarten through seniors present in the gym for a spectacular show of Valiant Spirit. All the grades were represented in the opening skits. The day concluded with the faculty and staff “puttin it to” the seniors in an epic tug-of-war. Thursday’s guest speaker, Chris Koch at 7:00 p.m.
Friday’s mass at 6:15 p.m.
Here’s a short video showing our kindergarten, through 6th graders kicking off today’s assembly. Monday, October 13th is the official start of homecoming week, a week that is one of the highlights of the year for many a high school student. This year will be the first year in the history of our two schools that homecoming will be celebrated all the way from kindergarten through seniors. It promises to be an exciting week for the Valiants and Junior Valiants. To kick off the week our elementary school held a Walk-A-Thon to help raise money for the school endowment and for our Parish Improvement Project (PIP). Two things impressed me most about our Walk-A-Thon. One was the great enthusiasm from our students. The second most impressive feature was the number of parents who were on hand to help ensure the safety and care for our student body. Thank you to all of the parents, grandparents, and guardians who joined us today! PIP PIP HOORAY! Here is a little video from the event. On Monday I’ll be attending a celebration for former President Carter’s 90th birthday. As a gift, I asked our high school choir to sing for him. With only one day’s notice here is the video that they, our musicians and video advisers, Matt Ma and Christian DeGuzman created. There is some incredible talent on display both in front of and behind the camera. My gratitude to everyone who helped with this endeavor. This kind of team-work is what makes our community great! Homecoming week is less than a month away. It is going to be a bigger event than ever. Students from Kindergarten through 12th grade will be celebrating with various activities throughout the week of October 13th to 19th. On Thursday evening, our homecoming speaker will be Mr. Chris Koch. Chris has also accepted our invitation to be our Grand Marshall in Saturday’s parade at 4:00 p.m. Chris will be speaking to our community on the topics of self-acceptance and perseverance. I can’t think of anyone better to motivate us on those topics than Chris. Meet Chris by checking out the short video on the attached link. We all know who built the arc, but do you know who painted the beautiful arc that now graces the outside walls to our kindergarten? Our art teacher/librarian Ms. Sarah Sugay braved the blazing hot summer sun during July and August to paint her rendition of animals making their way to the arc. The mural is a beautiful addition to our campus; make sure to offer a compliment to Ms. Sugay the next time you see her. Last night the Valiants played the Parrots of Poly High School for the first time in our schools’ history of football. Who won? Both schools did. It was a FANTASTIC COMMUNITY EVENT. Both Schools play home games at Poly Stadium. The stands were full on both sides. To begin the evening, both bands took to the field to play our national anthem together. Both sides boasted enthusiastic cheerleaders, student cheer squads and loyal fans. It was an old-fashioned neighborhood event. The Valiant crowd was comprised of alumni, current students, elementary school students, families, friends, faculty, their families, former coaches and their families. It almost felt like a homecoming event. One of the sights that caught my eye was that of so many elementary school students and their families attending the game and having such an obviously good time. I remember the days when elementary school students usually attended as “special guests.” Not last night…they were there routing for their team Valiant football team. A great sight indeed! Hopefully last night was the beginning of a new Roscoe Blvd rivalry that we can all look forward to continuing into the future. My gratitude to the principal of Poly High School, Mr. Ari Bennett for extending the invitation! They’re referring to this week’s football game between our Valiants and Poly High School Parrots. It is the first time in our school’s history that the two Roscoe Blvd schools have played each other in football. Since St. Genevieve uses Poly stadium as our home venue, it means for this event, we will experience sitting in the visitor stands! Whatever you’re calling it, it promises to be an exciting game. Junior varsity plays at 4:00 p.m. Varsity game is at 7:00 p.m.
Come out and support your Valiant team in our first game of the season! Pictures are of the our junior varsity team at today’s practice. See the link below to hear One Moment in Time being sung by elementary school and their parents. This was filmed at Sunday’s Back to School Mass. It was an Anointed Moment. Latin in the Air: This is the first year in several decades that the school is offering Latin. Students in grades 6th through 12th have the option of taking a Latin class. Not only is this excellent preparation for eventually taking the SAT’s and ACT’s, I’m hearing that students are enjoying the class, the content, and the teacher. Good job, Mr. Blasdel. The positive word is getting around. Gym Remodel: In case you haven’t heard, a grant from the Fritz B. Burns Foundation is allowing us to realize a remodel to the gym. We’ve already installed two large screens, a new scoreboard, and new hoops. The painting of the ceiling began today. We are painting the ceiling and ducts black…see attached link for a picture of the painting in progress. Next there will be a customized paint job to all of the walls followed by new seating and aisles. Auditions for All Shook Up: Next week, from Monday through Thursday, auditions will be held for the Fall musical, All Shook Up. All Shook Up is a jukebox musical with Elvis Presley music and the story is based on Shakespeare’s Twelfth Night. If that isn’t exciting enough, this is the first time that auditions will be open to students in grades 6th through 12th. A school first! A great turnout…great spirit…great support. Thank you to all of you who came and filled our church with family and community. Overall, it was a wonderful event. I don’t know about you, but there were several moments during the Mass which I found to be Anointed Moments. My favorite was when parents and students together sang, One Moment in Time. I filmed it, trying to get some of it up on this site. 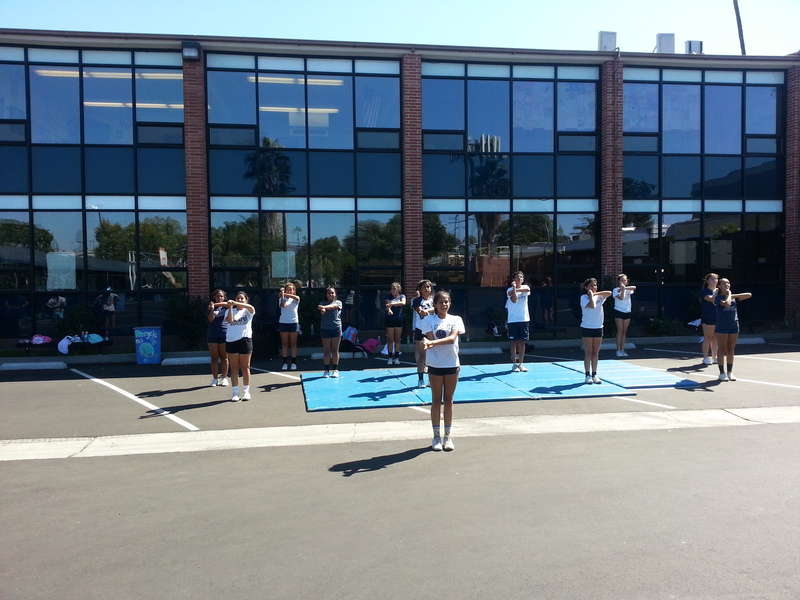 Watch a video of Tuesday’s music practice. What made Tuesday’s music practice so much fun? Over 1,100 students in grades kindergarten through 12th grade rehearsed for Friday’s Mass celebrating the Assumption of Mary. The church was crowded and hot, yet there was energy in the air that made our hour of practice both productive and fun. There definitely is a very positive vibration…positive energy that is palpable on both sides of our campus. When you watch this short video, keep in mind that this is only the 7th day of school for those kindergarteners sitting in the front. Also, make certain to notice the musicians…all home-grown here at St. Gen. In years past we have usually hired professional musicians to play for special Masses. This is the first year that all our musicians are either part of our staff and the majority from our student body. That’s a proud feeling! This is the launch of my blog, Everyday Matters! I intend this to be a place to provide some general thoughts, updates, reminders, and shout-outs…all from this principal’s perspective. The two schools which comprise St. Genevieve are a hub of activity buzzing mostly with a positive energy fueled by exciting and excited students, staff and parents. From time to time, I want to comment on the happenings around our schools, hopefully recognize some of you who work hard to make our corner of Panorama City a place of pride…someplace special!